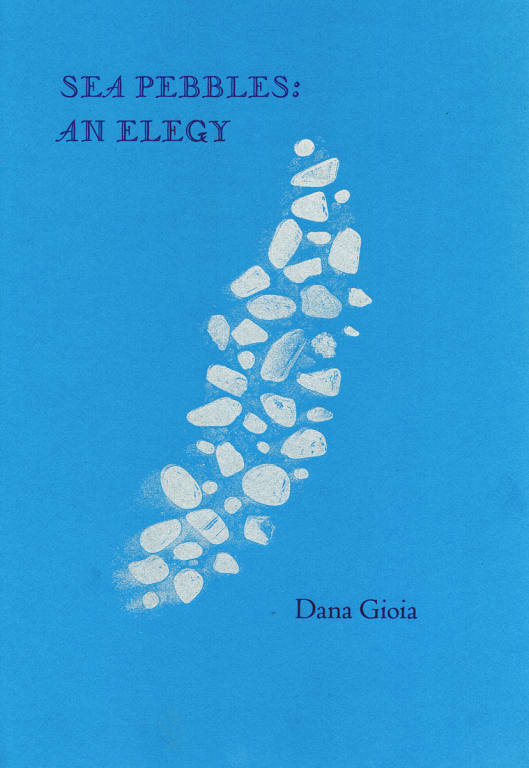 This moving poem by Dana Gioia has been printed on rare vintage W.S. Hodgkinson British handmade paper from the historic Wookey Hole Mill. 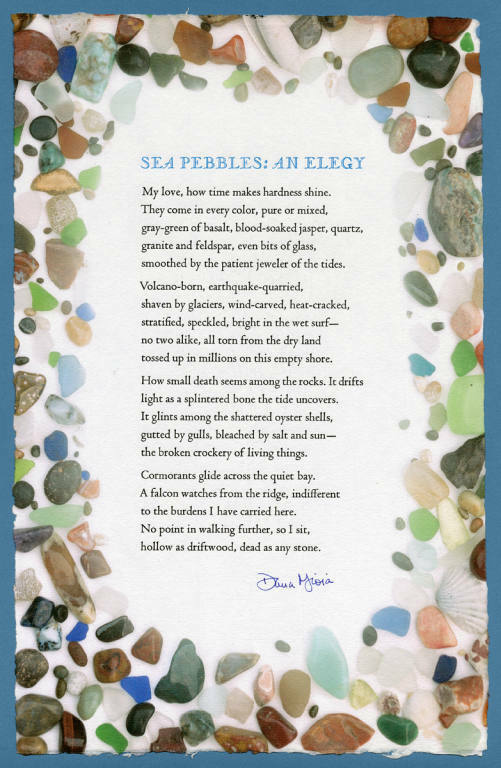 The poem is surrounded by a photographic border of sea pebbles and glass by Jonathan L. Clark Each broadside is tipped into a printed wrapper of blue Fabriano mouldmade paper. Dana Gioia, current State Poet Laureate of California, is one of America's most celebrated poets. A native Californian, he has published three collections of poetry, as well as numerous chapbooks, anthologies, commentaries, and two opera libretti. Gioia's book of poems, Interrogations at Noon, won the American Book Award in 2002. His noted 1991 book of essays, Can Poetry Matter?, advocated for the revitalization of poetry in contemporary culture. From 2003 to 2009, Gioia served as Chairman of the National Endowment for the Arts. Seventy-five copies were printed by letterpress at The Artichoke Press from handset Centaur and Champlévé types. 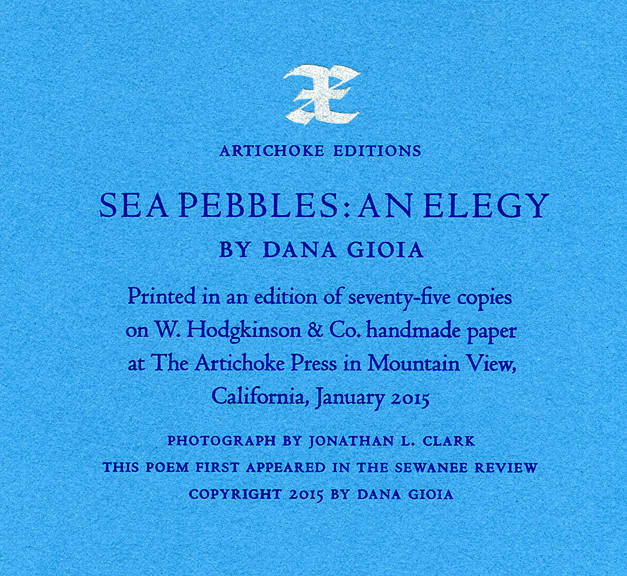 Each broadside is signed by Dana Gioia, and numbered and signed on the verso by Jonathan L. Clark. at $75 plus shipping and applicable sales tax.